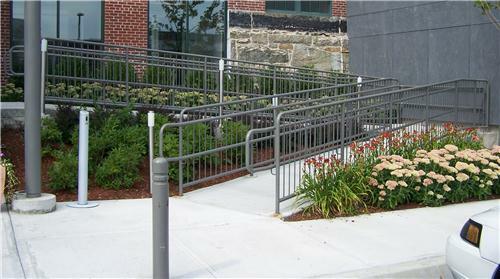 Here at Shaw Welding Co. we strive to produce the best in quality when it comes to the fabrication of railings. Our talented staff of fabricators not only realize the importance of making a railing that is up to code in order to provide safety, but also understand that it is a finely crafted railing that really makes your project complete. Be sure to comeback and visit us soon, as our site is under construction. We will be adding more pictures in the near future.